Dear Friends, in this section you can find the answers to frequently asked questions. How do you change wallpapers automatically with WallpapersEveryDay? Now, the wallpapers will change automatically, or you can click the Next Wallpaper button to install the next one manually. Enjoy! Do I need to download the program every time I want to set the wallpapers? You only need to download and install the program once. 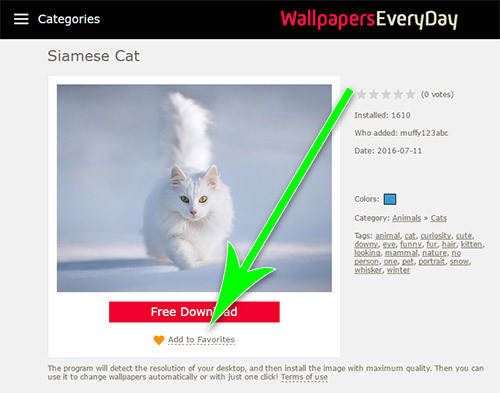 Just register on the website, add wallpapers to your favorites, and then set your favorite wallpapers on the desktop through the program on a scheduled basis or manually. It is very convenient! Why won’t the program work? You have the Starter version of Windows 7, which has its personalized functions disabled. It is necessary to upgrade Windows to the Home Basic version in order to have the possibility to change the wallpapers. Your antivirus/firewall settings do not allow the program to connect to the Internet. In this case the program will show the «Check connection to Internet» alert. Try to change the settings or disable antivirus your antivirus program temporarily. You are using an operating system that is not Windows. In this case the program will not be installed at all. Why does the program work with Windows only? What about other operating systems? As soon as the proportion of users of other operating systems reaches at least 10%, we will develop the program version for them as well. While the quantity of such users is less than 1%, we do not have the possibility to make a number of versions for this program, unfortunately. How do you uninstall WallpapersEveryDay application? It is very simple! How to add new wallpapers to the website? create the image title and tags. How to add an image for the moderator to approve it?